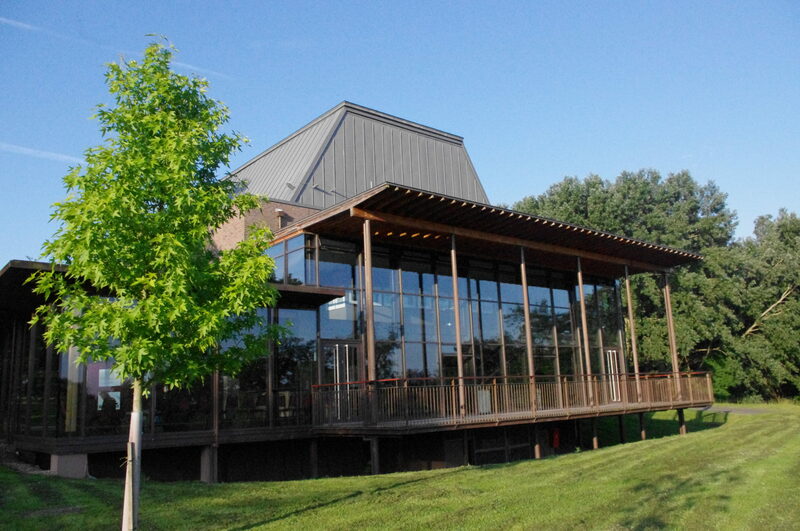 Based in Cobham, Surrey, The Yehudi Menuhin School provides a holistic education for around 85 musically gifted boys and girls aged from 8 to 19. We were asked to review the hearing loop provision in the School’s Menuhin Hall, an auditorium used not only by the School for performances but also available to the public for hire as a venue for lectures, workshops, conferences and private functions. 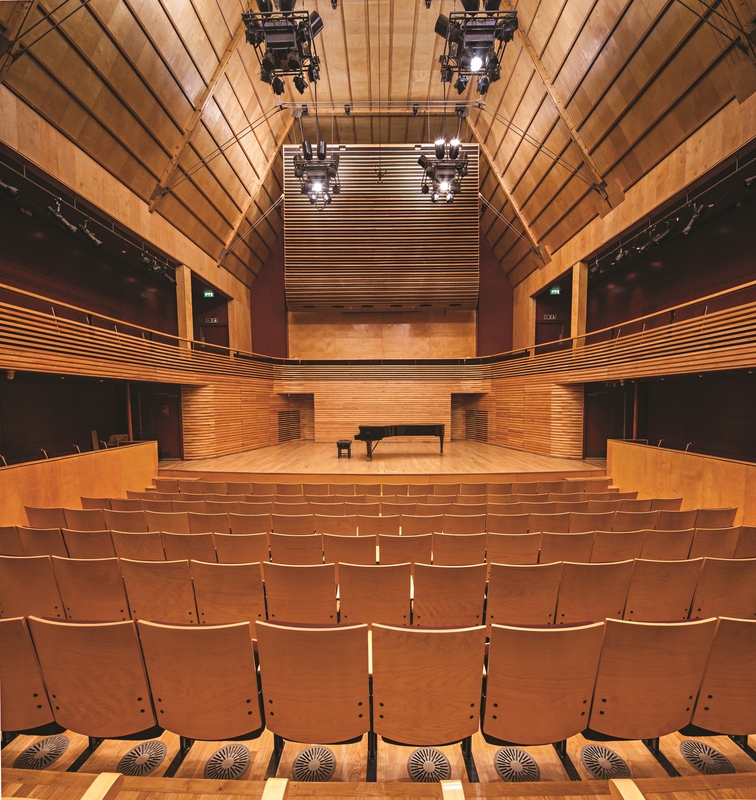 Built in 2006, the large hall seats 300 people and offers performers a technically superb acoustic, as well as insulation from the noise of the nearby M25.  The Hall’s existing hearing loop in the upper seating needed replacing and the School wanted one fitted on the ground floor to give the entire audience the best listening experience. In such a large space, we would have normally recommended a phased array layout for the ground floor but we were mindful of the aesthetics of the Hall. The use of wood throughout meant we could not repeatedly cut groves for the loop cable as this would have possibly damaged the wood. Our engineers therefore planned a perimeter loop for both areas. The loops required different currents because of the variation in size and the greater metal loss in the upper floor due to a frame within the structure. We therefore decided to use our V12a dual output loop driver to cover both areas. Loop A output would provide the current for the main area of the auditorium and loop B output would provide the current for the upper seating areas. Our engineers decided to do it this way because the V12a’s loop B current can be trimmed more easily. Installing just one driver instead of two also meant a cost saving for the customer. We took a great deal of time and care to thread cables behind and through existing gaps in the wooden structure of the floor. Where it was impossible to hide the cables from view, a flooring expert was employed by the client to create special grooves in the wood which could be filled in after the loop cable was laid. The loop driver was positioned out of view at back of the auditorium. Such attention to detail and careful assessment of all the features of the site meant the Hall got a solution that both functions well and maintains the integrity of the building.